It's almost here! The 2018 Newport Boat Show returns next month, September 13 - 16, and the Dockwa team will be there in full force. Here's the rundown of where you can chat with us, score free Dockwa swag, win sweet prizes, and give us a piece of your mind about our app. The Newport Boat Show returns in just weeks! Get our inside scoop on navigating NIBS, see how you can score free Dockwa swag, win sweet prizes, and give us a piece of your mind about our app. 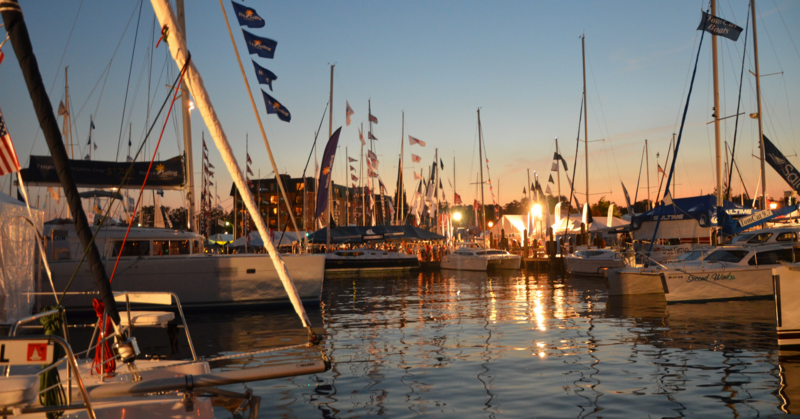 The Newport International Boat Show, also affectionately known as NIBS, returns September 13 for its 48th year. The show covers more than 13 acres of Newport's downtown waterfront, starting on Commercial Wharf – the home of Dockwa HQ – and exhibitors include a full range of sailboats, powerboats, and marine products and services. What better place to enjoy a boat show than Newport? Read on for our quick list of things to do, favorite exhibitors, and upcoming Dockwa antics. Whether you're upgrading or a first-time buyer, the Newport International Boat Show is the perfect place to step aboard the boats you've been drooling over, sizing up, and pricing out this summer. The Newport International Boat Show always has something exciting in store. (I'm still swooning over the electric Hinckley and open-floorplan Morris from last year.) Multihull enthusiasts won't want to miss the Fontaine Pajot that Atlantic Yacht Sales will be showing off on Dock N-10, nor the Gunboat over on Dock N-E 4. As for powerboats, I'll be checking out the Back Cove on Bannister's South Docks, the Hinckley over by Bowen's, the Grady-White and Kady-Krogen on Dock S-10, and of course the Sabre (I've always had a crush on all things Sabre) on the facedock. I'm also curious to see what power Jeanneau has in store for us on Dock S-10; I hopped aboard a 40'-ish sedan at Trawlerfest and remember the layout being really well thought out. For sailing, I'm psyched to check out our Newport neighbor Bluenose Yacht's new Open 30 on Dock N-E 1, the Alerion (notoriously well set-up for single- and double-handing), Catalina, Dufour, Elan, allll the J/boats, the Melges, the Tartan, the X-Yachts – I'll stop before I literally name every sailboat in the NIBS2018 fleet. Last but far from least: the trawlers – be still my heart. American, Ranger, Nordic and Nordhavn: I'll be hopping on all of those for sure. I'm less familiar with Outer Reef so can't wait to learn more about them. And of course a stop by the Kady-Krogens to complete the set in true future-trawler-owner style. 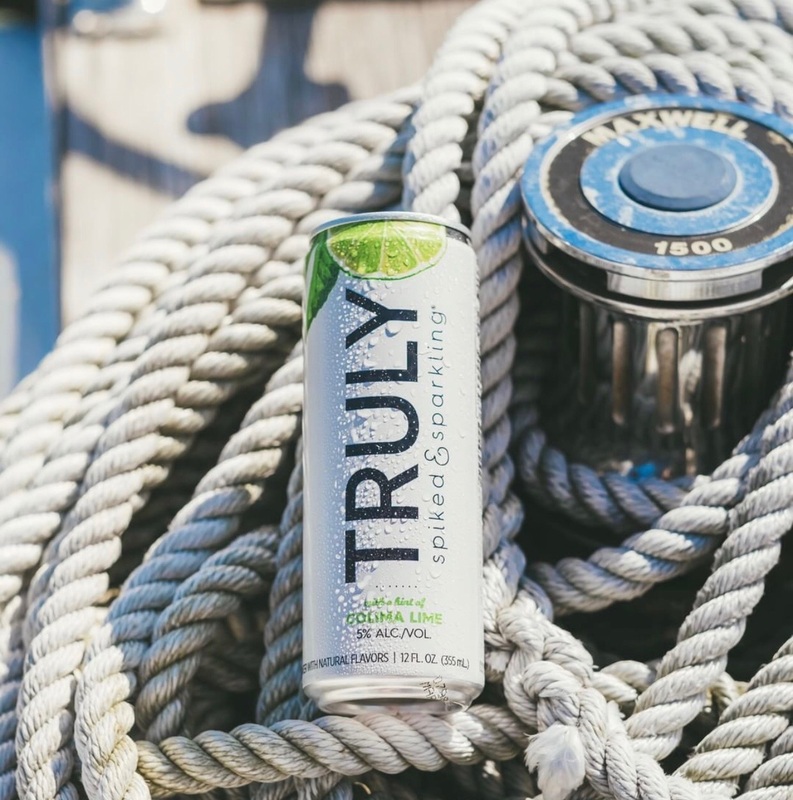 Every good boat show comes well-stocked with refreshments. Stop by the Bohlin tent for tastings, pairings, and drinks for purchase courtesy of Hendricks Gin, Sobieski, Truly Spiked & Sparkling, Whalers Brewing, and Polar Seltzer. Half the fun of getting a boat is customizing it so that you always feel like King of Your Domain when you're aboard. Sound systems, autopilot, decor, burgees, deck chairs, charts – they'll all soon be a part of your boat-buying experience. Boat shows are the perfect opportunity to get quality time with marina managers and staff. They're here to talk to you, as opposed to if you were to drive to the marina and potentially catch them in the middle of a million different things. What better place to refresh your captaining skills than at a boat show? For sailors and powerboaters, hands-on classes and in-classroom seminars run all four days, and you'll have plenty of time to hop on boats in between. There is nothing more valuable than hands-on training. Confident Captain returns to NIBS again this year ready to help scores of boaters feel more comfortable at the helm with their on-the-water boating courses. Classes are designed for both new boaters as well as those boaters needing a refresher before getting back out there. Click here for a preview of the classes, which will include Powerboat Docking and Maneuvering and Advanced Outboard Handling. For more of the educational route, take a course from the United States Power Squadrons (USPS) - America’s Boating Club. Comprised of families who contribute to their communities by promoting safe boating through education, the USPS NIBS2018 course selection includes How to Read the Weather, Using Radar, and How to Use a Modern VHF/DSC Marine Radio. While you're at it, become an expert at your own anchor (we know you're not always going to be dock-hopping!) with the USPS Anchoring Techniques class. Thinking about purchasing a boat at NIBS? Their Boat Buying 101 course will help you get ahead of getting organized, avoid getting overwhelmed, and set you on a course to this next big adventure. Plan ahead on what you want to see! Bookmark the NIBS website and familiarize yourself with the show layout and events schedule. If you're taking a seminar or two, register ahead of time. Don’t bring young children on the docks in a stroller. And remember to support NIBS in their strides to go green – make use to the recycle bins throughout, take a water taxi or the Easton's Beach shuttle to the show to decrease your boat show carbon footprint, and show your paperless ticket at the door instead of wasting paper. Get your #NIBS2018 free photo memento by snapping a pic with your boat show buddies at Dockwa HQ! Pick up your copy of Dockwa Boat Show Bingo, our tongue-in-cheek look at boat show shenanigans. Stay tuned for more ways to get geared up and win bigger prizes throughout the show! 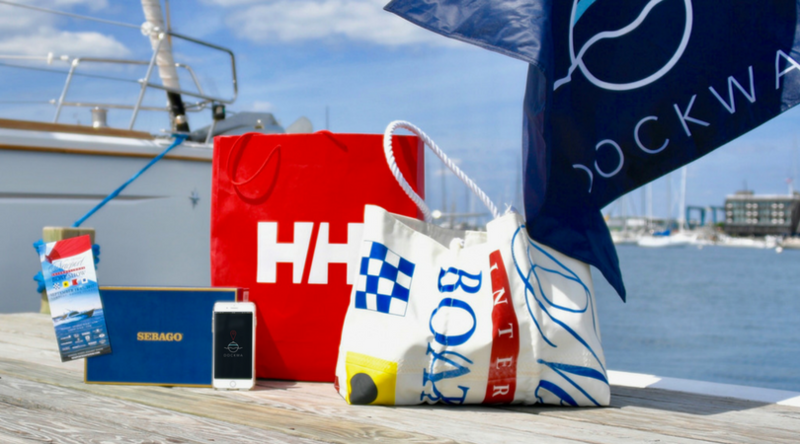 No need to be coy: everyone loves some good boat show swag. The Dockwa team will be holding down the fort at Dockwa HQ, per usual at 1 Commercial Wharf. 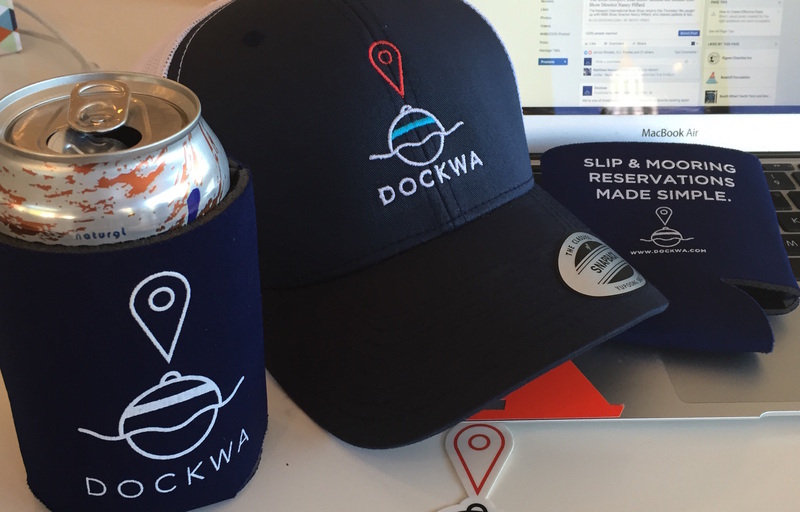 Show us your Dockwa boater profile on your iPhone or Android, and you'll get Dockwa swag and ecstatic high-fives from at least Becky. Hang out to talk shop with Dockwa team members all weekend long. We're a pretty fun group, but we're not just playing dinghy-flingy here: be ready to tell us about how and where you boat, and what feedback you have for us! Enter to win the #NIBS2018 Giveaway below!